Amateur Cities comprises of an online publishing platform on alternative ways of city making presented critically. The Amateur Cities website publishes articles that collect, analyse and clarify contemporary urban and technological development interesting for learning cities anew – not as masters, but as amateurs. It provides a platform for a dialogue on urban collective intelligence by presenting side-by-side theoretical and practical voices. It stimulates cross-sector exchange by engaging experts from architecture, urbanism, science, information technology, media, sociology and philosophy. Amateur Cities researches, clarifies and popularizes new ways of city making related to technology and social participation. It attempts to create a counterbalance to the omnipresence of press releases and Noting a lack of comprehensive knowledge in this field, it searches for a critical point of view and the broader social significance of citymaking practices today, instead of merely reproducing press releases. Amateur Cities combines voices from diverse fields of knowledge and provides space for insight in how architects, designers and urban planners can make use of the impact of current societal dynamics and new technologies to redefine their role in city making. Amateur Cities comprises of three sections that offer complementary viewpoints. Critical Imagination presents critical perspectives through essays, The Unmasters reveal the side of practice through interviews and Wishful Thinking presents a visual commentary and acts as a stimulation of the debate elaborated in the other sections. Luchtsingel in Rotterdam. Photo by Ossip van Duivenbode. Image courtesy of ZUS. Read the interview with ZUS, The Unobvious ways of City Making, on Amateur Cities. Campus Luigi Einaudi, University of Turin, Italy by Alberto Vanolo. 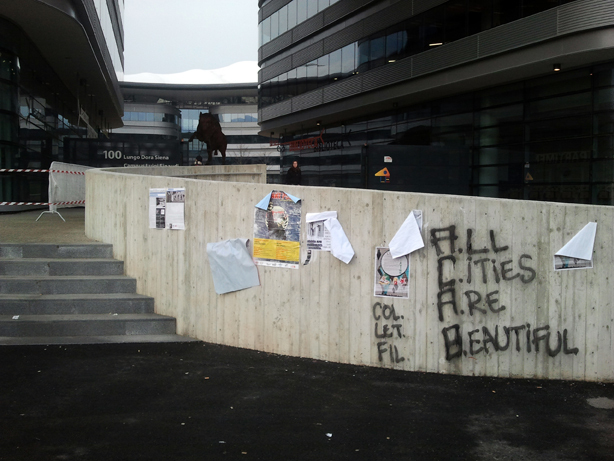 Read Alberto Vanolo’s article Urban Branding and the Violent Ghosts of the Politics of Representation online at Amateur Cities. 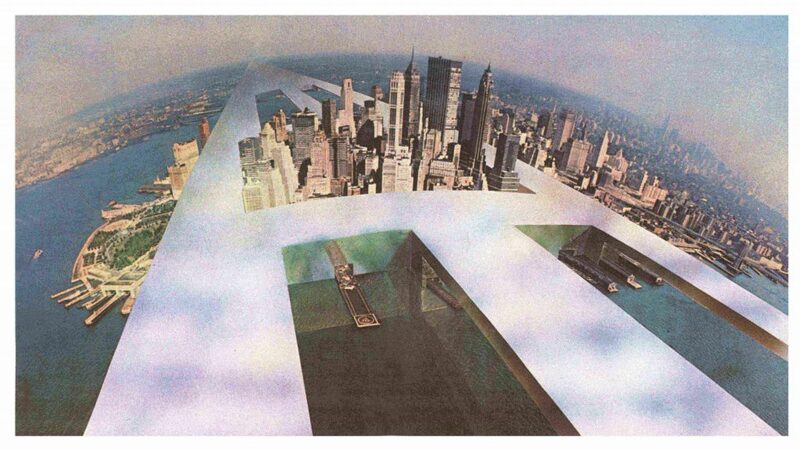 “New New York” from “The Continuous Monument” series – Superstudio (1969). Superstudio 1966-1986, Florence: Adolfo Natalini, Cristiano Toraldo di Francia, Roberto Magris, Gian Piero Frassinelli, Alessandro Magris,with Alessandro Poli (1970-72). Source: Archivio Superstudio. Read the article Continuous Monuments and Imaginable Alternatives by Tobias Revell, online at Amateur Cities. Coffee Bay, Eastern Cape Province, South Africa by Jon Rawlinson. Read the article Bringing the Jungle to the City by Brett Scott, online on Amateur Cities.